Benefits-based management seeks to provide recreation benefits for recreation participants by managing the physical environments in which recreation occurs. This study investigates the relationship between benefits desired by visitors and the physical, social, and managerial characteristics of settings that facilitate realization of recreation benefits. Data such as perceived benefits from recreation experiences, setting attributes that significantly influenced perceived benefits, and sociodemographic variables were collected from 376 visitors to Sorak-san National Park in the eastern part of the Korean peninsula. Cluster analysis was used to group visitors' desired benefits into 12 domains: relationship with nature/scenery, escaping pressure, learning about nature, family togetherness, introspection, exploration, autonomy/achievement, being with friends, leading others, skills/learning, risk taking, and meeting/observing new people. Multiple regression was used to link benefit domains with the characteristics of settings. The social attribute of recreation settings was linked to eight of the ten benefit domains. 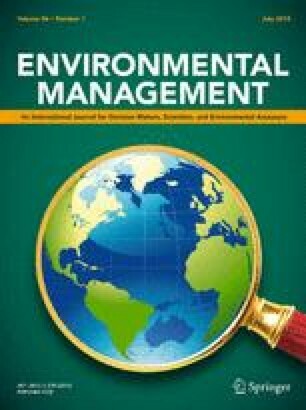 There were two statistically strong multiple regression correlations: (1) between domain of “relationship with nature /scenery” and the attributes “forest/water,”“attractive nature,” and “facility/maintenance” and (2) between the domain of “escaping pressure” and the attributes “attractive nature” and “social.” The results of this study are useful to managers in their efforts to provide recreation opportunities for visitors to achieve beneficial outcomes.